See scan - good condition. Some signs of wear. This is a very nice Imperial Russian Emperor Nikolaus II bronze medal to commemorate the allys from the times of WWI. 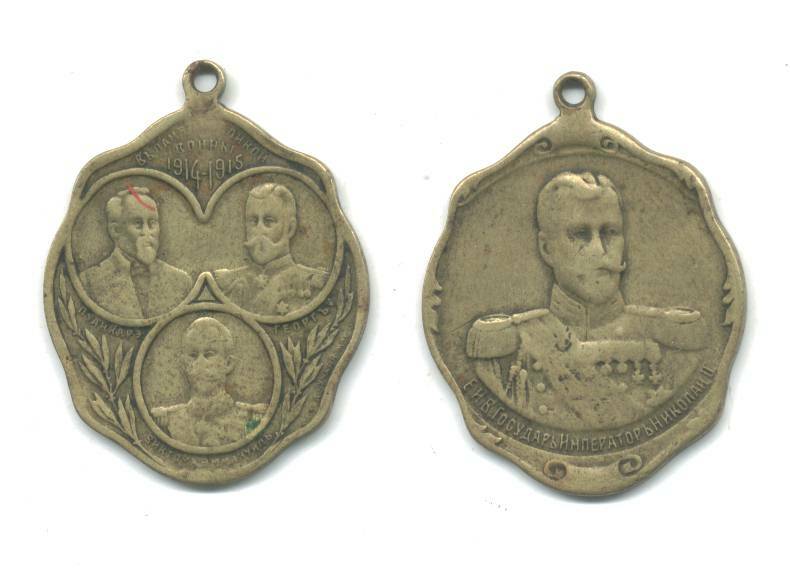 Back of the medal shows the British Emperor George V, Victor Emanuille and I think the French President. Front is the portrait of the Russian King. Nice and scarce medallion.